Often dreamlike and enigmatic, Christine Brennan’s work features a host of symbolic and allegorical references. Brennan’s images draw from the unconscious leading the viewer into richly-lit narratives that evoke personal stories and associations. As a painter and printmaker, the artist strives to engage the viewer to decipher and interpret the inner meaning of the work. This results in a deeply personal, emotional and unique response from each individual. 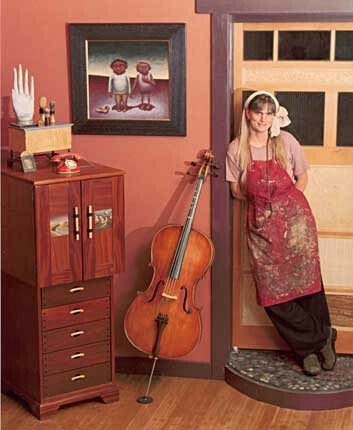 A graduate of the Rhode Island School of Design, Brennan is widely collected and represented in galleries across the United States. Christine Brennan’s documentation took place in 2001. The FOTM Archive contains extensive information about this artist.